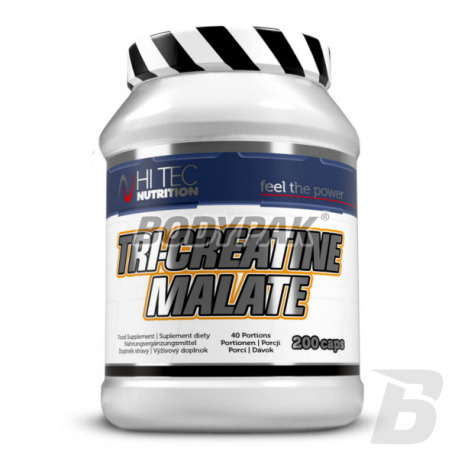 CreatineHi Tec Tri-Creatine Malate - 200 kaps. Tri-Creatine Malate is the highest quality creatine malate, which has repeatedly intensifies anabolic and anti-catabolic ergogenic effects of creatine. The combination of three molecules with one molecule of creatine malate, creatine protected functional groups, making it much more stable in the acidic gastric juice and within the working muscle cells. The result is a much better use of creatine by muscle cells and inhibition of the breakdown of creatine to inactive creatinine. Furthermore malate is much better soluble in water, so it can be more quickly absorbed into the bloodstream more efficiently transported into the muscle cells. Moreover, malic acid molecule in cells stimulates the production of energy, so that interacts with creatine generate contraction of muscle fibers. 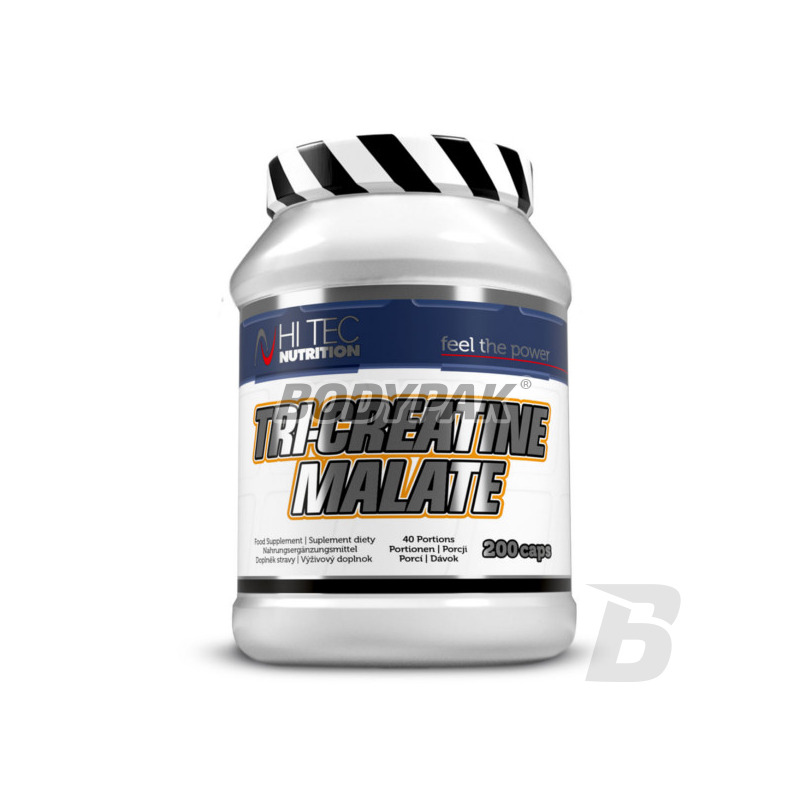 Creatine malate is much better soluble in water, so it can be more quickly absorbed into the bloodstream more efficiently transported into the muscle cells. Ingredients: creatine malate (tri-creatine malate), vitamin B3 (nicotinic acid amis), vitamin B6 (pyridoxine hydrochloride), vitamin B12 (cyanocobalamin), magnesium stearate (anti-caking agent), edible gelatin (capsule shell).